In massive news, Sydney’s resident produce-driven foodie haven is hitting us with a mega bottomless affair. As of now, these guys will be plating up a bottomless breakfast and lunch every Friday and Saturday which means you weekends are about to get ten times better. 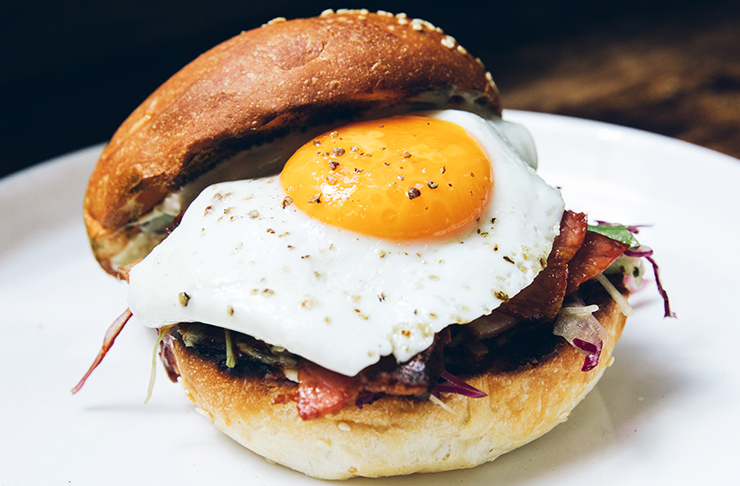 For the early-risers, you’ll be able to choose anything on the brekky menu (including their glorious bacon and egg roll) alongside flowing glasses of elderflower bellinis, mimosas or Bloody Mary’s. If you’d rather a sleep-in, from midday onwards you’re in for a two-course menu consisting of shared entrees and a choice of 3 mains with unlimited beer and wine. And just so you know, the lunch feeds look something like hummus, tandoori chicken skewers, lamb kofta, wood-roasted salmon and roast pumpkin salad. Both bottomless sessions will go for two hours, so we’re thinking your weekend is very much sorted. Head here for more. Still hungry? Here's where to find bottomless pizza.